최유리, 윤은영,(2017).병원식 외 음식 섭취 여부에 따른 요양병원 노인의 식사섭취 문제와 영양상태 평가.한국생활과학회지,26(2),145-156. This study was carried out to evaluate nutritional status and eating problems in elderly patients in a long-term care hospital according to whether or not they consume foodservice meals. The subjects consisted of 70 patients over age 65 (82.7 ± 6.8 years) in a long-term care hospital in Chungbuk, South Korea. Seventy patients were classified as eating foodservice meals (31 in the hospital foodservice group and 39 in the foodservice with other meals group). Sixty percent of the subjects reported experiencing some problems when they eat meals. Forty-three percent of the subjects reported dentures as the reason for the problems, making dentures the highest-rated reason. Eleven percent reported having difficulties with constipation. The most common reason for having difficulties with chewing and swallowing in the hospital foodservice group was that the respondents’ dentures did not fit well (19.6%), and the most common reason given in the foodservice with other meals group was that they had too many missing teeth (17.6%). Nutritional status was determined by dietary intake. The mean adequacy ratios (MARs) of 8 nutrients (protein, calcium, iron, vitamin A, vitamin B1,vitaminB2, niacin, and vitamin C) were 0.985 for the hospital foodservice group and 0.820 for the foodservice with other meals group (p < 0.05). The indices of nutritional quality (INQ) of calcium, iron, vitamin A, vitamin B1,vitaminB2, niacin, and vitamin C in the hospital foodservice meal group were significantly higher than in the other meals group. The most insufficiently consumed nutrients were vitamin B2 and calcium(nutrient adequacy ratio(NAR), 0.581–0.478 and 0.659–0.547, respectively). The results suggest that regardless of group the patients in this study may have inadequate intake of vitamin B2 and calcium, which needs to be reflected in menu planning. The proportion of elderly patients who eat well in the foodservice meals group is good. Ahn, H. J., Kang, J. H. & Lee, H. M. (2014). Nutrition Status of Elderly Female Patients in Long-term Care Hospital according to Meal Types and Eating Ability. Korean Journal of Community Nutrition, 19(2), 187-197. Ahn, H. S. (2015). Patient care and management in long term care hospitals. Research Report, Research Institute for Healthcare Policy, Korean Medical association 12, 90-94. Baik, H. W. (2010). Focus on nutritional assessment and nutritional support of the elderly. Proceedings of 2010 Symposium, Korean Journal of Medicine, 79(0), S517-S518. Chang, H. J. (2008). Strategies for the improvement of customer satisfaction on foodservice through identifying the foodservice quality factors in senior care facilities. Korean Journal of Community Nutrition, 13(1), 69-79. Choi, E. H. (2010): A study on strategic proposal for improving of service quality management system of long-term care(LTC). 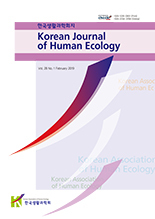 Journal of the Korea gerontological Society, 30(2), 401-419.